Dr. Giovanni Selis (1925-2008), has been a great personality and one of the most important promoters of Water Polo in the town of Savona (Liguria-Italy). For 30 years (from 1948 until 1978), Dr. Selis offered his services to the Club "Amatori Nuoto Savona" (renamed later to "Rari Nantes Savona"), at first as a player and then as official. 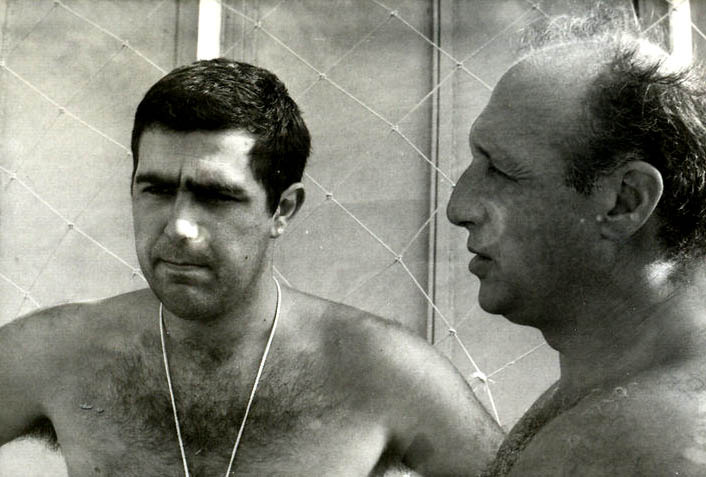 He supported the development of a serious Water Polo program in the Club, which later on under the technical leadership of Claudio Mistrangelo, became one of the most solid and prestigious Water Polo programs in Italy and Europe. Dr. Selis is recognized as a man of vision who managed to convinced the local authorities to build in 1954 the outdoor pool and in 1972 the indoor pools of Savona. In 1974 the Italian Olympic Committee (CONI), recognizing his contribution offered him the special award of "Stella de Bronzo per meriti sportivi".